This "Ho! 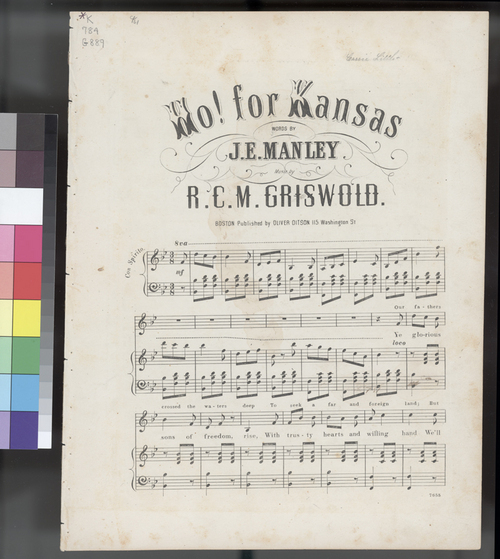 For Kansas" sheet music was composed by R. C. M. Griswold with words by J. E. Manley. Creator: Griswold, J. C. M.